Do you dream of owning your own stable, or perhaps just owning a place where you can keep your horses in the backyard? There are a lot of things to consider when buying a property for horses. Here are some things to keep in mind when searching for the perfect home for you and your horse. This may seem obvious, but the location of your new home compared to where you work, and where you shop is an important consideration when choosing a horse property. Commuting requires a lot of expense and time. The time alone will leave you with less to spend with your horses and less time to maintain the more substantial property that you're living on. Even shopping can become more of a chore if you need to drive a long way to get groceries. Consider too, the distance from things like health care providers, entertainment, banks, and other amenities. If you're off the beaten path, that mile-long lane may seem charmingly secluded at first, but will you get to work on time, or will the veterinarian and farrier be able to get in if it gets snowed in during the winter, or is underwater in heavy rains? Will a narrow, winding road with steep ditches be a nightmare if you need to haul a horse trailer or bring a wagon load of hay in? Choosing a location is also crucial to trail riders who want easy access to trails. 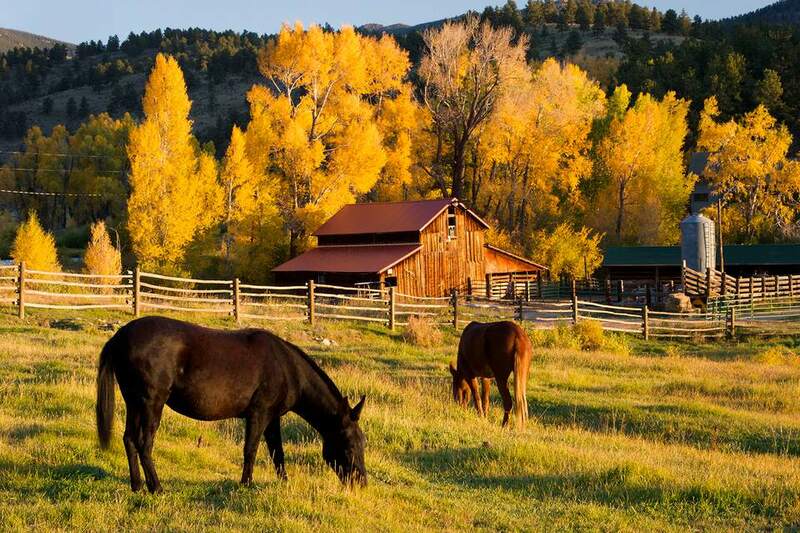 In many areas, there will be by-laws governing how many horses you may have per acre. Laws of this sort exist for various reasons, but mainly they are to support healthy land use and prevent over-crowding. Even without the laws, the recommended pasture acreage to support one horse is 2.5 acres. If your soil is rocky, dry or swampy, the acreage isn't going to matter because there won't be good pasture, but your horses will still need plenty of room to move. On smaller properties, you'll most certainly have to supplement your horse's diet with good hay to make up for the lack of pasture grass. So do some research so you are aware of laws that dictate how many horses and other livestock you may keep. Land zoning can limit the type of animals you may keep on a property. Even though you may regard your horse as a companion animal, chances are zoning by-laws will view it as livestock. Zoning by-laws can be altered, but carefully research the chances of Some sections of your new property may be designated “Environmentally Protected." This meant those areas cannot be touched, including clearing a path for fences, taking out dead wood for bonfires or clearing out dead trees. Steep mountainsides or swamps do not make good horse pasture! Pay attention to where low spots or other troublesome geographies may be on your prospective horse property. Examine potential horse property for land prone to flooding from river floodplains, low-lying areas that are catchment areas for rain, cliffs, gravelly areas, very acidic soil, or lack of flat spots where you can put buildings, parking areas, and a riding ring. Unmaintained pastures look green and lush from a distance, but on closer inspection are full of undesirable weeds. Are there a lot of noxious plants? Although red oak trees are lovely to look at, their leaves are poisonous to horses. It may be possible to circumvent the problem by situating paddocks and stables away from the trees, and for that, you may want to plan ahead. While owning a larger property is very appealing, know that you are also buying a lot more work. Inspect any existing fences and building for safety. Check things like water piping and electrical in barns or sheds. Take note of the condition of roofs. 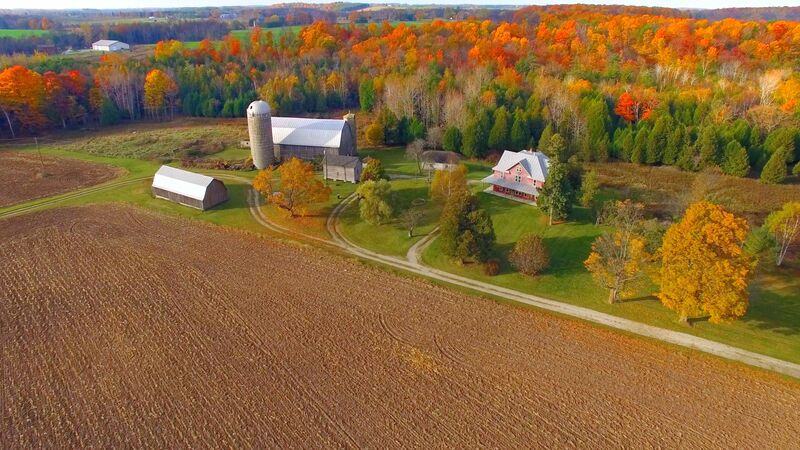 Check floors and the foundation of old barns; old, used barns weather the years better than empty barns. Ferret out potential trouble areas so you can plan the solution or confidently pass the property up. Check the neighbors. With luck, you'll have horse loving neighbors that are quiet and never borrow lawn equipment. It may be hard to meet the neighbors, but you'll be able to take a quick look at their property at least to get an idea of who you might be dealing with.